Why won't Facebook show the public the propagandistic ads that a so-called Russian troll farm bought last year to target American voters? That lack of transparency is troubling to many observers. "Show us the ads Zuck!" Silicon Valley entrepreneur Jason Calacanis wrote on Twitter when The Washington Post reported on the surreptitious ad buys on Wednesday. Calacanis said Facebook was "profiting off fake news," echoing a widely held criticism of the social network. It was only the latest example of Facebook's credibility problem. For a business based on the concept of friendship, it's proving to be a hard company to trust. On the business side, Facebook's metrics for advertisers have been error-prone, to say the least. Analysts and reporters have repeatedly uncovered evidence of faulty data and measurement mistakes. Facebook's opaqueness has also engendered mistrust in the political arena. Conservative activists have accused the company of censoring right-wing voices and stories. Liberal activists have raised alarms about its exploitation of personal information to target ads. And the news business is worried about the spread of bogus stories and hoaxes on the site. Some critics have even taken to calling Facebook a "surveillance company," seeking to reframe the business the social network is in -- not networking but ad targeting based on monitoring of users. Facebook executives dispute that their site is a "black box" of secretive algorithms. And they say they've taken concrete actions to halt the spread of so-called fake news. But some news industry executives don't trust that Facebook fully recognizes the problem. Inaccurate and just plain made-up information spreads virally across Facebook and other social networks every day. The misleading advertising figures may be the best bottom-line illustration of Facebook's woes. Brian Wieser, an analyst for Pivotal Research, reported this week that he found big disparities between the number of people Facebook claimed to reach through its Ad Manager platform and the actual populations. According to the U.S. Census, there are 31 million people in the United States aged 18 to 24. Facebook's platform claims to be able to reach 41 million of them. 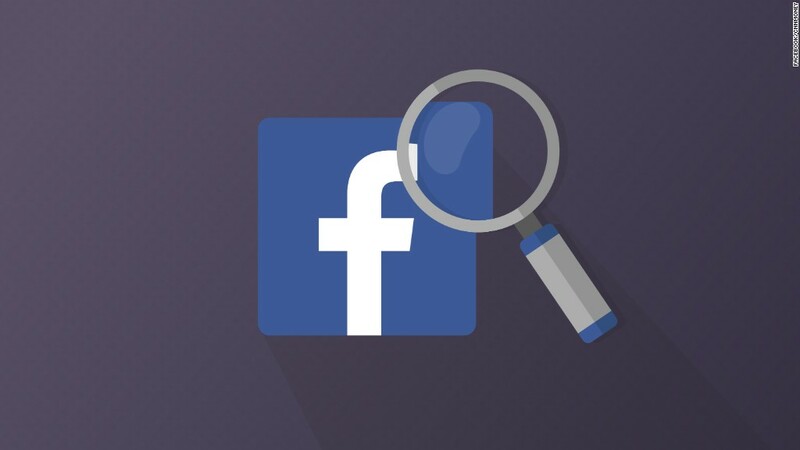 Related: Facebook under scrutiny for inflated ad reach in U.S.
"In media measurement issues there is no evidence that Facebook seeks to intentionally deceive anyone," Wieser told CNNMoney via email on Thursday. "And yet errors revealed in the past or issues like the one I wrote about (which might be characterized as unintentionally misleading) continue to pop up." Wieser wrote: "The question is: is this sloppiness? Or a lack of focus? Or can it be pegged to reasonable challenges associated with managing a company that is both massive and still growing incredibly fast? One might then assume these issues play out elsewhere, as with the news about Russian-based propaganda." Facebook hasn't responded to a request for comment Thursday from CNNMoney. On Wednesday, Facebook disclosed that it had discovered about 3,000 ads connected to 470 inauthentic accounts and pages, much of them purchased during the 2016 campaign. Facebook's chief security officer said they appeared to come from Russia. The ads were meant to "sow discord" among voters by amplifying divisive messages about issues including race, immigration, guns and LGBT rights, Facebook said. The disclosure, which came after the Post report, involved a relatively small amount of money -- about $100,000, according to the company. But some analysts and lawmakers immediately wondered whether more details would come out later. Facebook says it has provided information about the ad buys to investigators. The company's account of election-related ad activity has changed over time. In July Facebook told CNN, "We have seen no evidence that Russian actors bought ads on Facebook in connection with the election." When CNN followed up this week, the company said that statement "was accurate at the time we shared it," and "we found this activity as part of our more recent internal review." On the ad metrics front, Facebook has overpromised and underdelivered before. And the problem is not unique to Facebook: Other digital ad giants have come under scrutiny from ad buyers. The only other one with the scale of Facebook is Google. The two companies are increasingly portrayed as a "digital duopoly," and trust issues are at the fore for both.